The average adult smile consists of 32 teeth, and each tooth serves a purpose. When a tooth is lost from injury, gum disease, or decay, the gap left behind can expose the other teeth to harmful bacteria, decay, and potential injury. For over 50 years, dental implants have been recommended as an optimal solution for the replacement of missing teeth. Implants are typically suggested after all efforts to preserve a tooth has been made. An implant is an artificial replacement for the root of a tooth. It mimics the natural tooth structure and serves as an anchor for one or more replacement teeth. The term “dental implant” often refers to the three components: ceramic crown, connector or abutment, and the titanium base that fuses with the jawbone. There are three parts in the anatomy of a dental implant – crown, connector, and base. The crown is the prosthetic, upper portion of the implant. Crowns are typically made of ceramic materials which are made to look just like a natural tooth. Even your natural color is matched. The connector, sometimes referred to as an abutment, simply serve as a means of attachment for the crown and the base. The base or the implant itself, is the titanium anchor screws into the jawbone. The implant takes the place that would otherwise be occupied by the root of the teeth. Many of our patients are surprised to learn that when it comes to dealing with the discomfort and frustration of having missing teeth, they are not alone. In fact, nearly 69% of adults aged 35-44 are missing at least one tooth. And avoiding tooth replacement is just as common. For patients who are candidates, dental implants look, feel, and operate just like natural teeth. With proper hygiene and care, an implant can last a lifetime. When it comes to your smile, implants are not just about aesthetics. There are significant problems that may occur when one or more teeth are missing and implants offer patients a long-term solution. If you’re like the millions of Americans who have one or more missing teeth, you could benefit from dental implants. Serving the Fredericksburg region with a combined thirty-eight years of experience, Dr. Cathie Hidalgo Seaman and Dr. Joel Butterworth specialize in dental implant surgery. 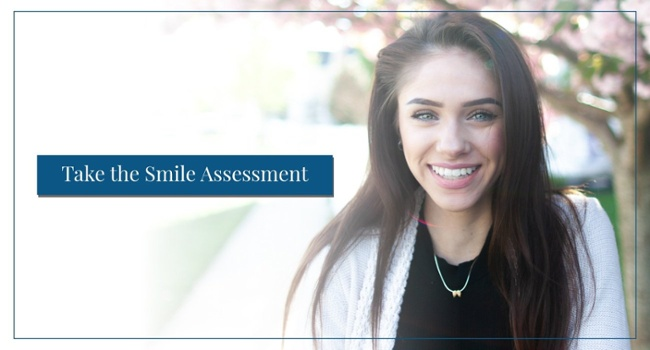 Contact Smile Center to schedule your consultation today: 540-899-7791! The average adult smile consists of twenty-eight teeth (not including wisdom teeth), and each tooth serves a purpose. When a tooth is lost from injury, gum disease, or decay, the gap left behind can expose the other teeth to harmful bacteria, decay, and potential injury. In the last couple of decades, dental implants have been recommended as an optimal solution for the replacement of missing teeth. Implants are typically suggested after all efforts to preserve a tooth have been made. An implant is an artificial replacement for the root of a tooth. It mimics the natural tooth structure and serves as an anchor for one or more replacement teeth. The term “dental implant” often refers to the following three components: ceramic crown, connector or abutment, and the titanium base that fuses with the jawbone. 1. Dental implants look fake. Perhaps the most common misconception about dental implants is that they will look noticeable, not natural. Most patients are actually surprised by how real their implants look and how natural they feel. 2. Getting implants is painful. Actually, since there are not many nerve endings in bone, local anesthesia easily minimizes the discomfort. In fact, there is almost no postoperative pain involved. After the procedure itself, you may become used to your implants so quickly that you forget you even have them! 3. The cost of implants is expensive. While implants do have a higher initial cost than most other dental procedures, they last much longer than other alternative options. Unlike bridges that may only last about ten years, implants can last a lifetime. The biocompatible titanium base is non-toxic and is integrated directly with your jawbone. Patients can brush, floss, and eat as they would with any of their other teeth. During the past several decades, this procedure has had a 95% success rate. The biocompatible titanium base is non-toxic and integrated directly with your jawbone. 5. Only an oral surgeon can place implants. Oral surgery should always be performed by a skilled specialist. However, implants may be placed by a periodontist, prosthodontist, or general dentist who specializes in implants. For patients who are candidates, dental implants look, feel, and operate just like natural teeth. With proper hygiene and care, an implant can last a lifetime. When it comes to your smile, implants are not just about aesthetics. There are significant problems that may occur when one or more teeth are missing, and implants offer patients a long-term solution. Dental implants look, feel, and act like a natural tooth. Perhaps the biggest benefit is restoring the ability to chew normally. You can smile, eat, speak, and clean your teeth just as you normally would. Unlike dentures, implants are not removable. There’s no need to soak overnight. Teeth are brushed and flossed as usual and you can enjoy the comfort of having a complete smile at all times of the day and night. Unlike bridges that may only last about ten years, implants can last a lifetime. The biocompatible titanium base is non-toxic and is integrated directly with your jawbone. When a tooth is missing, the other teeth are exposed to deterioration and decay. Food may become trapped in gaps in the gum line and lead to the growth of harmful bacteria and gum disease. Without the protection of an adjacent tooth, exposed teeth also become more susceptible to injury. Gaps from missing teeth can cause the adjacent teeth to become unstable. 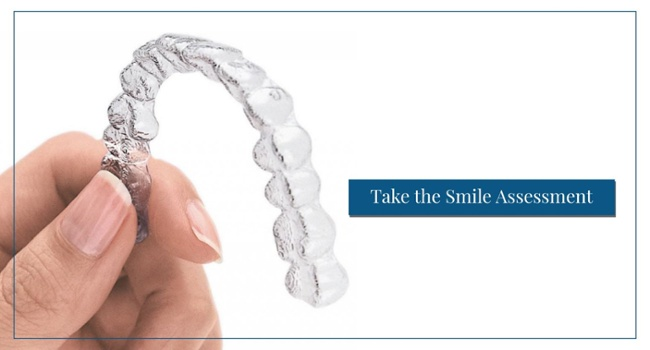 Without the support of the missing teeth, a significant shift in position can negatively impact your bite, ability to chew, and the appearance of your smile. This shifting can lead to problems with TMJ and pain in the jawbone. Within the first year of losing a tooth, the exposed area of the jawbone deteriorates rapidly with up to 25% loss. This bone loss, caused by a lack of stimulation, can actually be accelerated by dentures with abrasion. If the roots of the teeth are not replaced with implants, the bone deterioration can lead to significant sagging and premature aging of the face. This, in turn, may lead to partial facial collapse, thinning of the lips, and increased wrinkles around the mouth.